We all have heard that 10,000 hours is cited as mark of people who have mastered some skill or other. For sure, this principle applies to mastering a musical instrument. 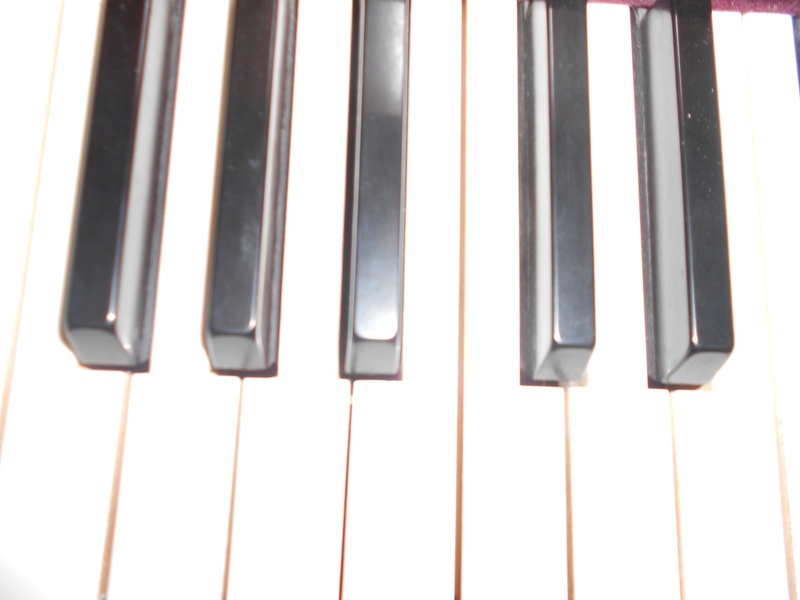 Most people have no real idea what they embark upon when they sign up for piano lessons. And I am glad it is this way. If they knew the amount of discipline, dedication, and hard work that come with this decision, many of them might bale out instantly! Luckily, by the time they realize the need for regular practice, many of them are already hooked on "music making," and this is what keeps them going. The pride of achieving some new skill, and the satisfaction of being able to play different musical compositions, help along the way. If a beginner practiced 300 days for 30 min. for one year, that is 150 hrs. Impressive, right? And still that beginner had 65 days off during the year. How about if a second-year student practiced for 1hr daily (2x30 minute sessions) for 300 days? This is already 300 hrs. To become a real professional performer one needs at least 4 hours daily practice, which equals 1, 200 hrs. per year. So if you total 450 hours for the first 2 years, and 900 hours over for the next 3 years, that is 1,350 hours total over 5 years of learning the piano. If you practice 4 hours a day for the next 6 years, you are nearly there, adding 7,200 hours of practice. So, after 11 years of dedicated learning and 8, 550 hours of practice, I guarantee you will be at a professional level. If you started at 7 years old, by your 18th birthday you will be very good. That is how the concert pianists are doing it (they might practice even a bit more after that 18th birthday mark). I can now see some people unhappily imagining how they could otherwise be spending these first 300 hours: on TV shows, games, or just hanging around not doing much. Yes, we live in a culture of instant gratification, and many of us don't like effort. But here is the news-flash: All solid skills require effort, and people who avoid this painful truth are kidding themselves. You want your airplane pilot to have enough flight hours training, so he can land safely?? You want your surgeon to have enough practice hours, so he can operate successfully? You want your attorney to have enough court experience to defend you successfully? So why, then, do people still favor the idea that an easy, effortless way exists? Oh, games. But here is the truth, people who create these games spend countless hours in developing them, so this is also hard and skilled work. How do we get past these depressing numbers of practice hours, and maintain the excitement and the fresh will to keep learning piano? The answer is super simple: SMALL DAILY GOALS, doable, achievable, EVERY DAY. Don't just sit and play from the beginning to the end of your music trying to get 5 repeats, or 30 minutes, to pass. THIS DOES NOTHING for your improvement! Setting GOALS is how you practice, with focus, until you achieve the result. For each practice session, have a small goal: “Today, I will master this little segment of 4 measures in the Right Hand that gives me a hard time.” Be focused, and slowly play that segment until you feel no hesitation, all notes are correct, and you feel confident that you have mastered it. Sometimes you will need more time for a difficult music passage! Meeting each goal is a VICTORY! You already have improved! Then make another small goal and start working on it! Never sit down to practice without having a clear, set goal for your practice time. Smaller goals are easier to achieve, and, gradually and constantly, they boost your self-confidence; as a result your interest in practicing is stronger every day as you see the results after each practice. Parents, help your children to learn how to set these small goals. First do it with them, then ask them to do it by themselves. Day by day, goal after goal, you will be improving and moving towards this mark of 10,000 hours. You might not reach that level, but you will learn to play well and you will have gained confidence and skill. Did I mention that you can transfer this same approach to all areas of learning? Happy Practicing! Do set your small goals before you start!